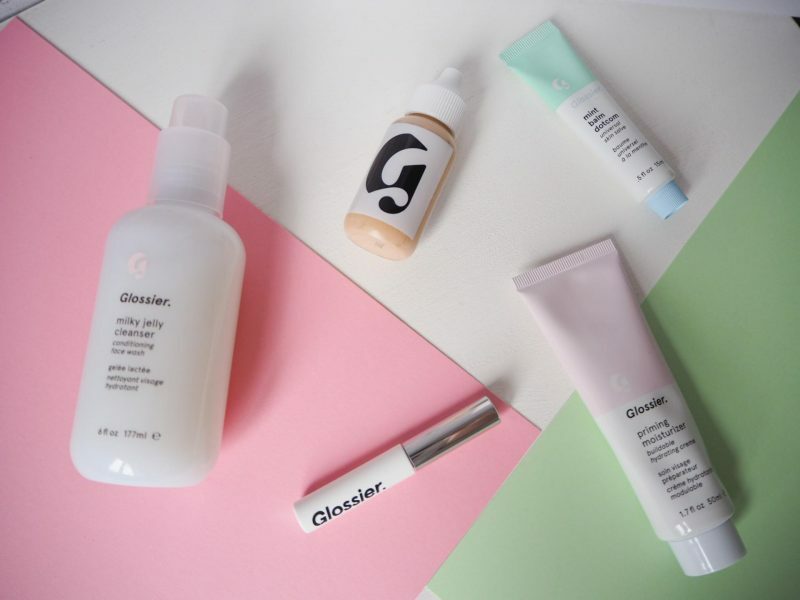 If you haven’t heard of Glossier, where have you been? I have seen a lot of hype surrounding a brands launch before, but nothing quite to this degree. To be honest it’s pretty impressive given how competitive the market is! The brand debuted back in 2014, founded by Emily Weiss. Now you may know her from Into The Gloss but if you were a fan of The Hill’s (like me) then you will remember she appeared in three episodes as an Intern to upstage Lauren Conrad and Whitney Port. Anyway (after that fun fact), Glossier has only been available in the U.S so your options were either convince someone you knew who was visiting to bring you bits back or pay a huge amount in shipping. 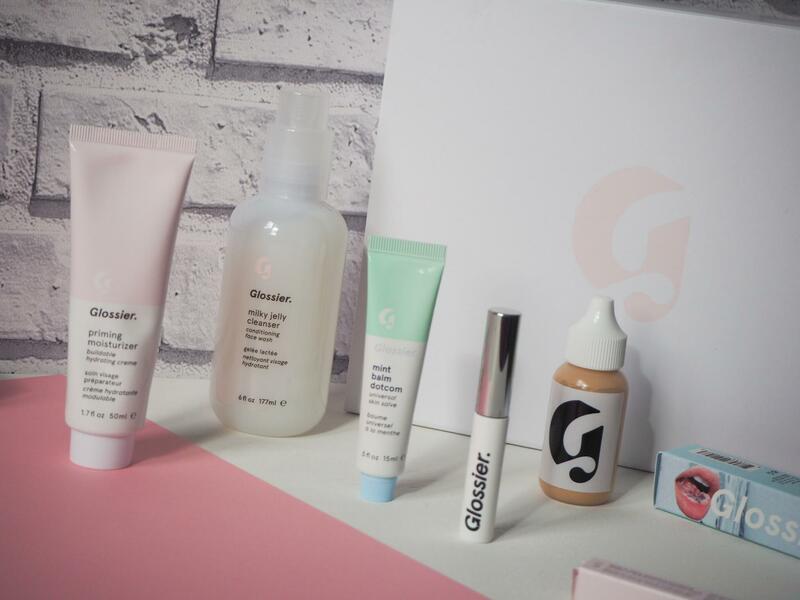 On the 9th October Glossier was finally available to buy in the U.K so you can pretty much get your hands on everything from the comfort of your own home. If you fancy 10% off your order then follow the link. Life’s a Catwalk uses affiliate links, for more info check the disclaimer. 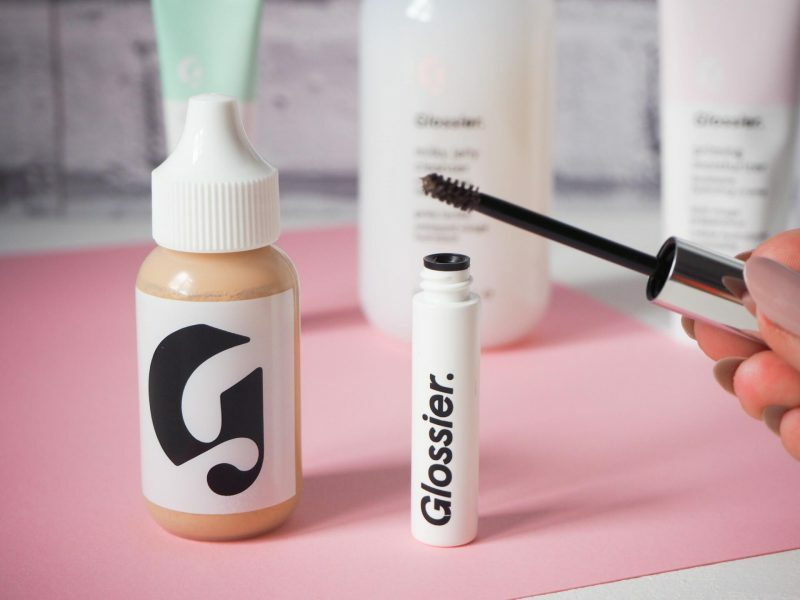 Refreshingly, Glossier is all about creating skin that looks lit from within rather than plastering on layers of cakey makeup. This kind of pared back, low maintenance look is right up my street. That’s partly because of laziness but also because I want my skin to naturally glow and be able to breathe. 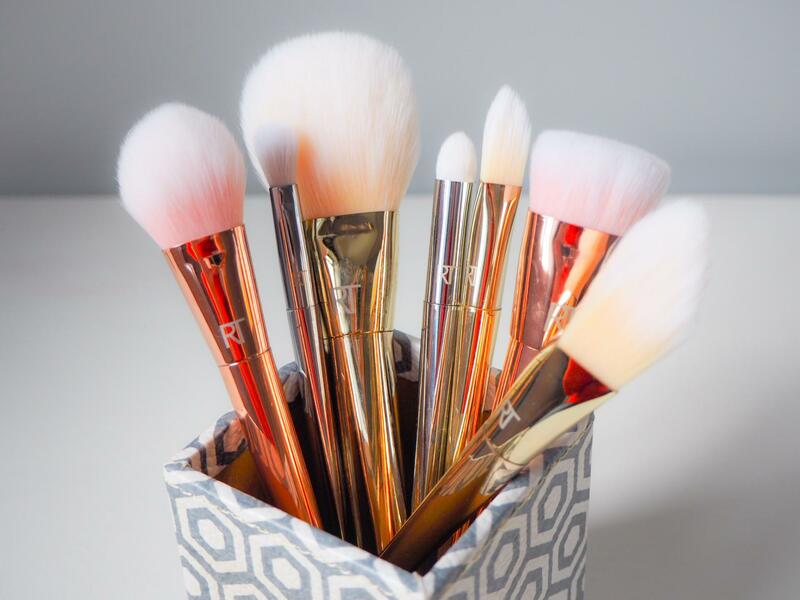 Most importantly for me they are cruelty free and that’s something I really look out for. If I find out a brand isn’t cruelty free I will stop using them regardless of how much I love their products. The brands packaging is seriously cute, everything comes packed inside a pink bubble wrap lined pouch with a zip lock closure. They have become instantly recognisable with Glossier and people have been going nearly as crazy for the pouches as they have for the products. I could imagine them coming in handy for travelling or using as a makeup bag inside your handbag. I wanted to go for products that I knew I would really use. 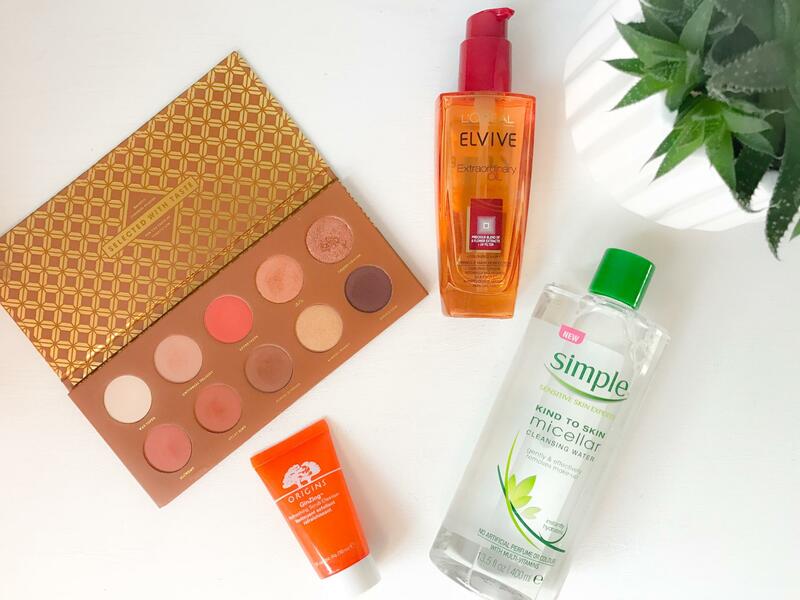 I prefer minimal makeup and I don’t have a huge amount of time to spend on a lengthy skincare regime so I chose five items. I knew that I wanted to try the Milky Jelly Cleanser and I’ve been meaning to give primers a go so the Priming Moisturiser was my next pick. Buying as a set made sense and makes the products a bargain as you also get the Balm Dotcom in a choice of flavours. The cleanser dissolves any makeup and dirt from your face. As it has a gel formula it obviously doesn’t foam up which I’m used to from other products. My skin felt really clean and super soft afterwards. *Update* Since I published this post I have actually had an allergic reaction to the Cleanser. As I write this I have some swelling and my face feels like it’s on fire. I’m taking a large amount of anti histamines, using steroid cream and have to keep cooling my face with ice packs. I’ve contacted Glossier who have refunded me the price of the Cleanser. I do not have sensitive skin and am not allergic to anything so I would be careful if you are generally sensitive. I was very kindly informed that the Cleanser contains a lot of rosewater and this can be an irritant to some people. The moisturiser hydrates your skin and reduces and redness. I found that it really smoothed out my skin and you can build it up on any areas that you want more of a primer. I went for the balm dotcom in mint and it smells and tastes super minty. Online all I have seen is people buying the birthday cake flavour but that would be way too sickly for me. You can use the balm on your lips, elbows, pretty much anywhere that is dry. At this time of year I find that my lips really start to get chapped. I love the consistency of the balm and the staying power it has. In the past I’ve found other balms almost feel slippery and I hate eating and drinking with them on. If I am only going to put one item of makeup on it will be to pencil in my eyebrows. I like a strong brow and mine really need defining, I notice a big difference if I don’t bother. Boy brow has a creamy formula which doesn’t go really hard and stiff when it’s dry. It comes in four shades: blonde, brown and black as well as a clear option. I went for brown because I do get my brows tinted but I still want them super defined. The Skin Tint seemed like the perfect product for me and I have seen so many people rave about it on YouTube. It comes in five shades and to be honest I would like to see them give a few more options. My skin tone is slightly too dark to be light but not dark enough to be medium. At the moment I’ve been wearing fake tan so I chose medium as I thought it would blend better. 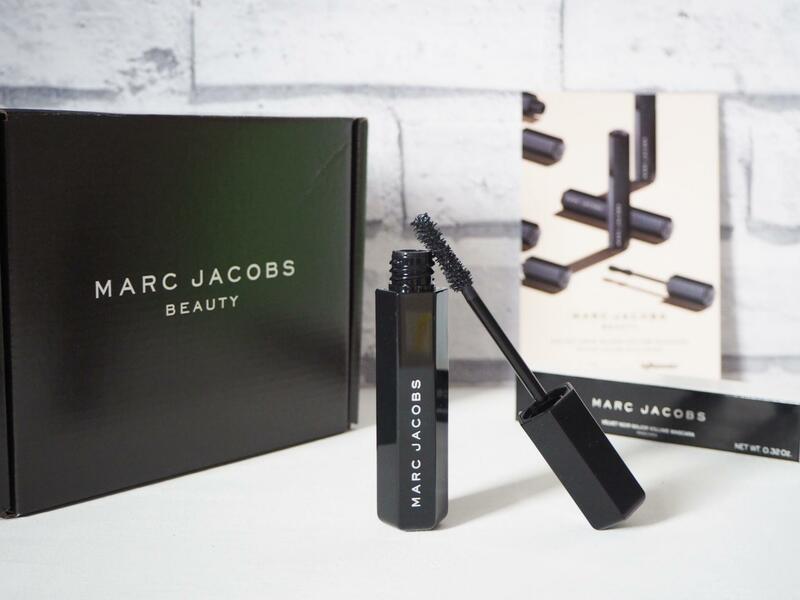 The tint gives you a wash of colour which evens out any discolouration and leaves a smooth, dewy finish. Having tried it I now understand why there are only five shades. The skin tint is incredibly buildable. I was worried that it would be too dark as I’d exfoliated my tan off before trying it. It also feels weird to be putting it on with my fingers rather than a brush. I started off my just dotting it over my face and then blending it in. It is a perfect match. You can then go over any areas you feel need a little more coverage. My skin looks super glowy and healthy. Overall I can’t believe how impressed I am with these products. Half of me expected to be a bit disappointed as I thought they would probably have been over hyped. I can 100% say that I would re-purchase all of these products again and I’m even considering picking up a few more pieces. 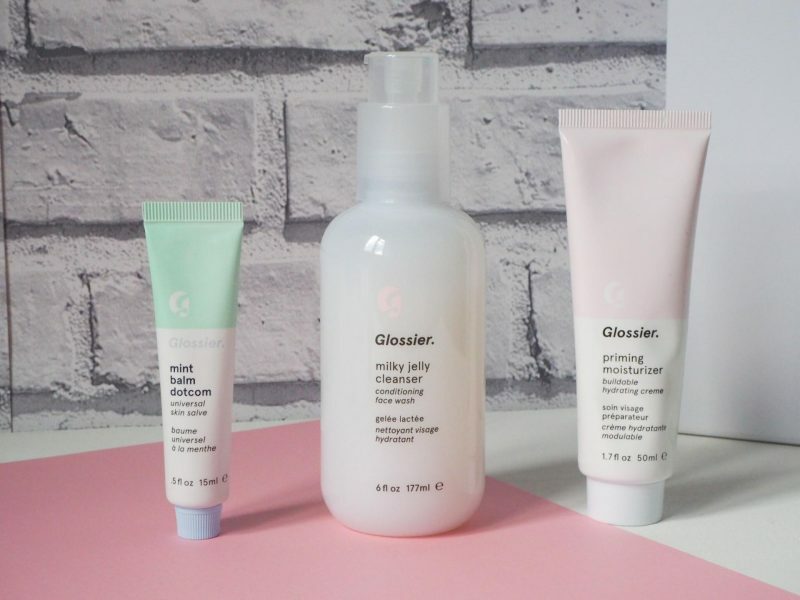 I feel like if I was a beauty brand I would be Glossier. *Update* Since the allergic reaction it has tarnished my view of Glossier. While they refunded me straight away the damage was already done. I’m now slightly put off using the other products which is such a shame. I feel like the fact Glossier offered a refund, no questions asked, implies that I’m not the only one who has had a reaction to the products. Obviously not every product can be used by everyone what ever the brand, I just hope no one else has a reaction like this.